Product prices and availability are accurate as of 2019-04-21 01:24:10 UTC and are subject to change. Any price and availability information displayed on http://www.amazon.com/ at the time of purchase will apply to the purchase of this product. This model Installs on rose or escutcheon 3-1/2" or less. Also Type 86 mortise or Type 161 cylindrical locks. SPECIFICATIONS: Plate: 12 gauge steel, .105" thick. Two square holes in plate. 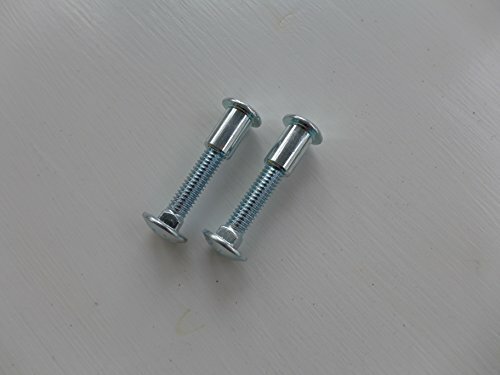 Bolts: Two carriage bolts 5/16-18 x 1-1/2" long with special fasteners (SF710). Finish: Zinc plated with brushed finish. Latch-Gard products are made in the U.S.A. using high quality materials.